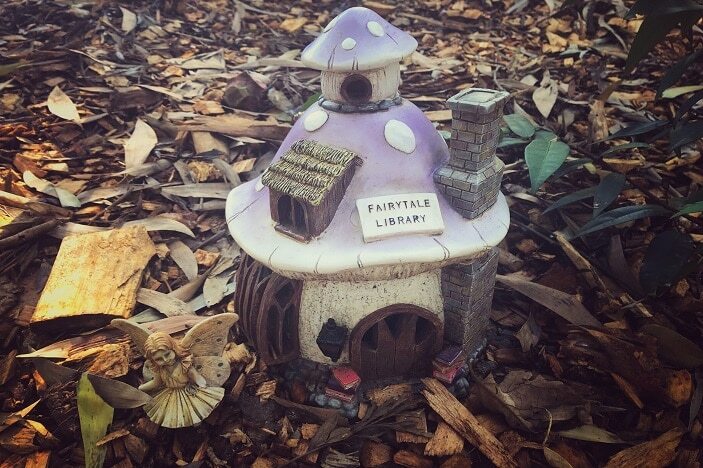 The whimsical world of fairies and elves has been delighting children of all ages for generations, and the Brisbane area has a number of fairy trails and fairy gardens that are just waiting to be explored. 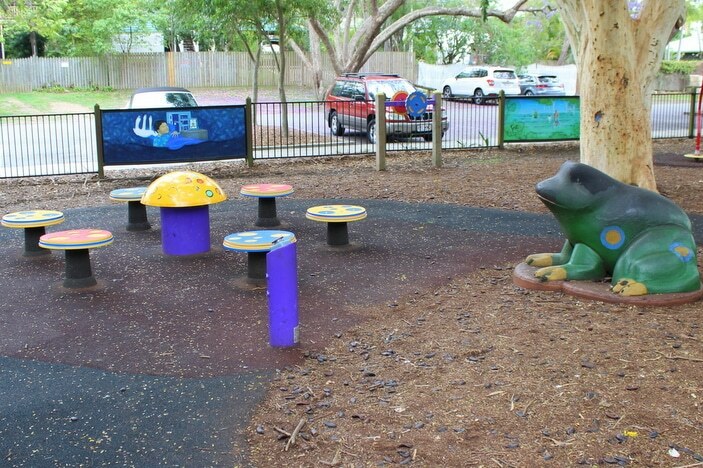 Start your fairy fun at the Enchanted Forest playground, located at Dorrington Park at Ashgrove. 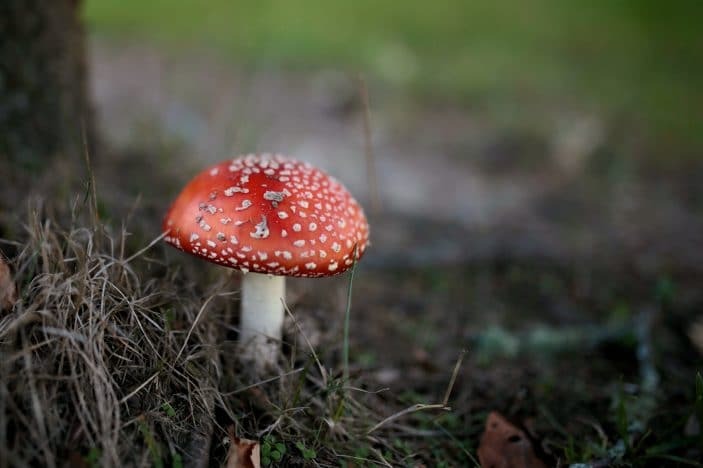 Climb on the spiders’ webs, make music on the magical toadstools, and picnic in the leafy parklands. You can grab a coffee from Famished on Frasers out the front and let any older kids enjoy themselves on the new skatepark nearby. 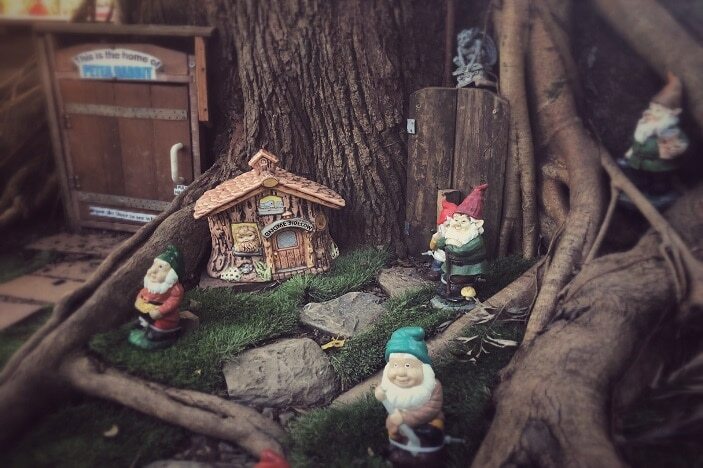 Further north you’ll find a delightful fairy village at Kumbartcho Sanctuary at Eatons Hill. Write and post a letter to the fairies in the fairy mail box, sit and enjoy the peaceful surrounds and spend some time in the playground and nursery. You could even purchase some plants to take home and create your own fairy garden. 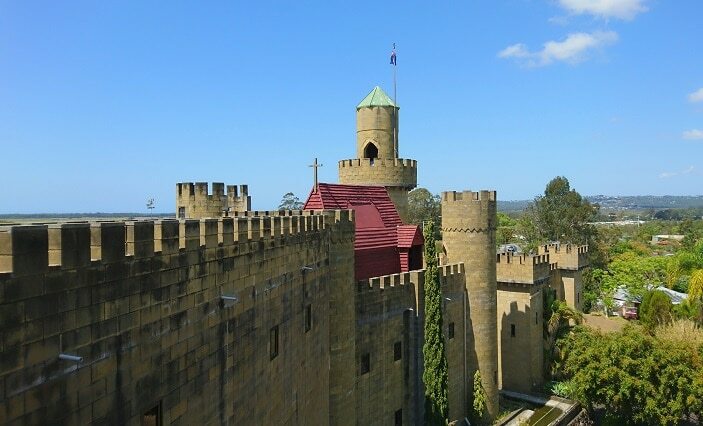 Continue north to Sunshine Castle (located at Bli Bli on the Sunshine Coast), and you’ll find fairies on display as part of the castle’s doll collection, as well as a well-stocked gift shop, which is full of fairy-themed trinkets, puzzles and games. 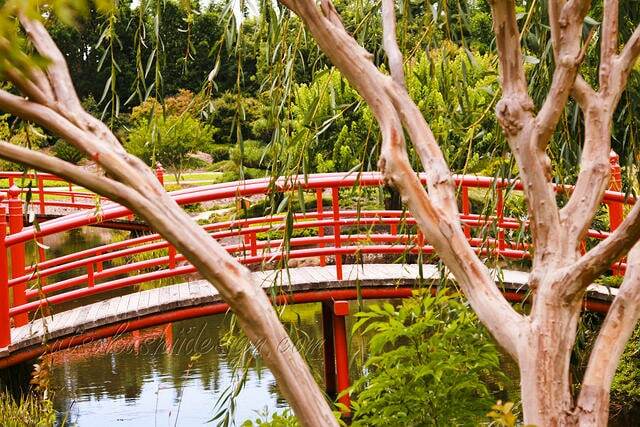 Inland from the Sunshine Coast is the Maleny Botanic Gardens and Bird World which features a display of fairies and magical folk, nestled within their spectacular gardens. There is an entry fee to enter the gardens, but you are welcome to take a picnic, or enjoy a devonshire tea while taking in the expansive views. 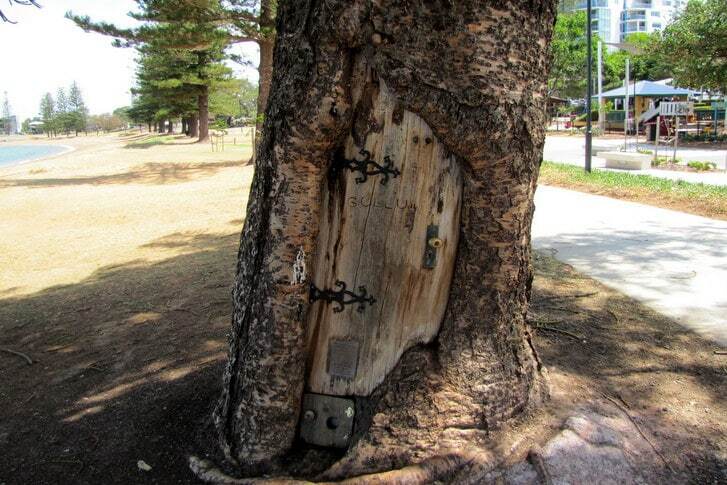 The next location may not feature fairies, but the Gollum tree at Scarborough beach is worth a look, especially for fans of The Hobbit. 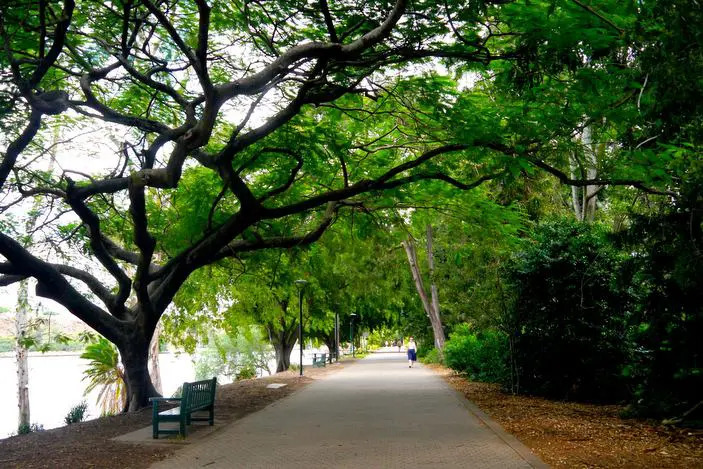 The cotton tree forest, located within the Scarborough beach park, also lends a touch of whimsy to the location. Kids can climb the gnarled cottonwood trees which feel like they could be the home of mythical creatures. For kids that are more interested in wizards and witches than fairies and elves, a visit to The Store of Requirement in Samford is a must! They serve butter beer and sell lots of well priced Harry Potter paraphernalia and a sorting hat that will sort the kids into their house! It is located next to the popular Flying Nun Cafe that serve the best seasonal food and is just down the road from a train themed playground. 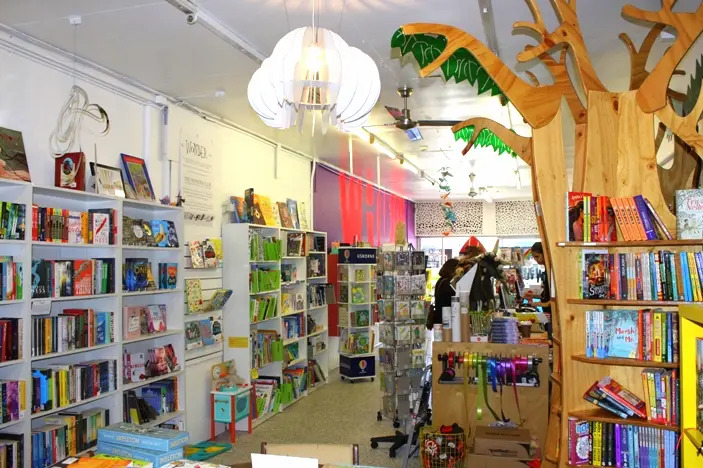 If you’re looking for story books about fairies, Where the Wild Things Are bookshop at West End is a good place to start. 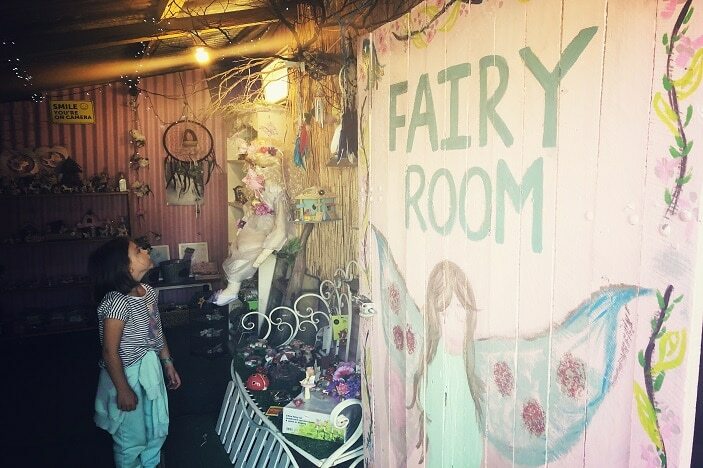 Also at Samford is The Fairy Room, located within the Samford Valley Nursery and Gift Shop on the main street. 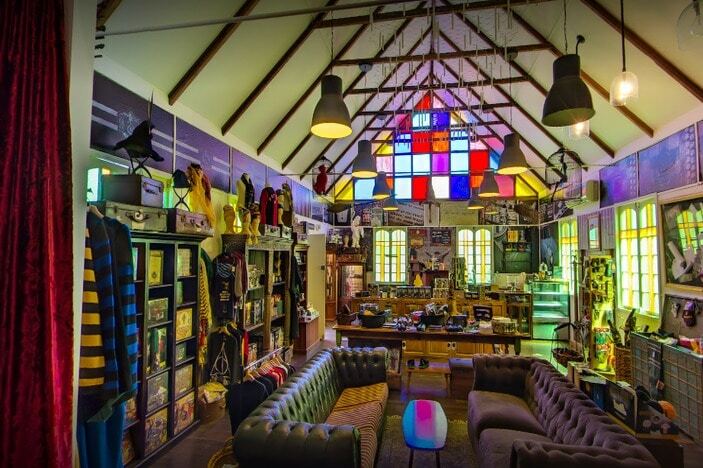 Full of gorgeous treasures, you are unlikely to leave empty handed! Make sure you stop into the famous Samford Patisserie for one of their incredible vanilla slices. 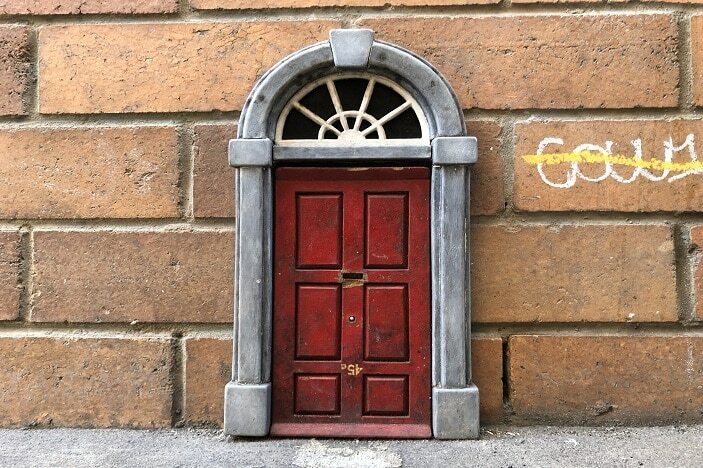 In the Brisbane CBD, the little-known Burnett Laneway off the Queen Street Mall features a secret red fairy door which makes a fun task for kids to find. 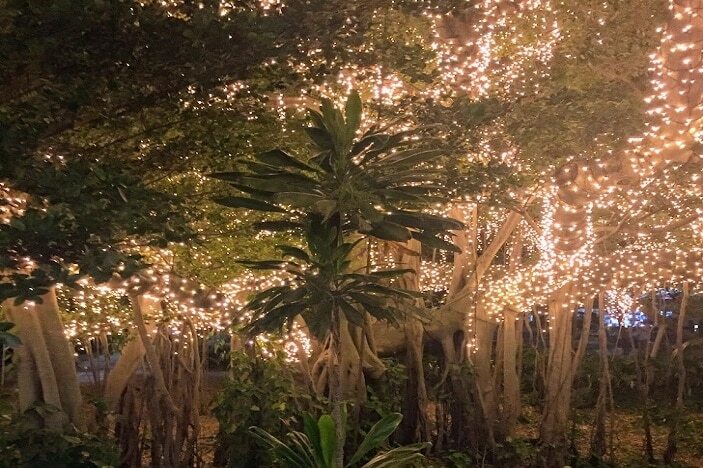 And if you find yourself in the city at night, walk through QUT to the Goodwill Bridge where you will find a fairyland among the fig trees, thanks to hundreds of glittery fairy lights. It truly is magical. 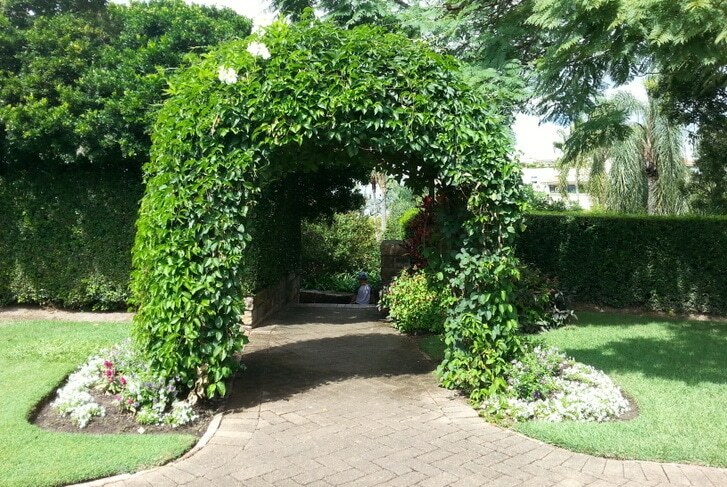 Also located in the city centre is Newstead House, set on an enviable position along the Brisbane River. 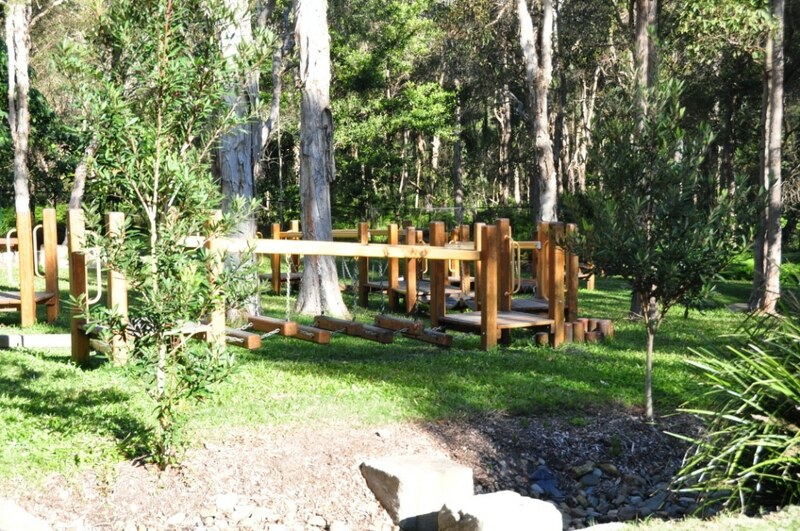 It’s the perfect spot to stop for a leisurely picnic in the well kept lawns. And while they may not have fairies, there is a wonderful Alice in Wonderland fairytale garden to explore, as well as mazes, mirrors and a fish pond brimming with colourful goldfish. 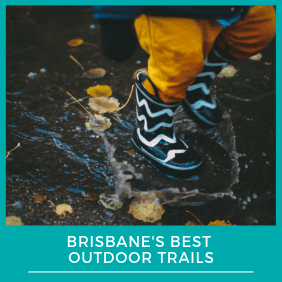 Heading south, the coastal town of Brunswick Heads (in northern NSW) has an enchanting fairy trail to follow with lots of hidden surprises. Call into the visitor centre to pick up a free map before you set out on your magical adventure. 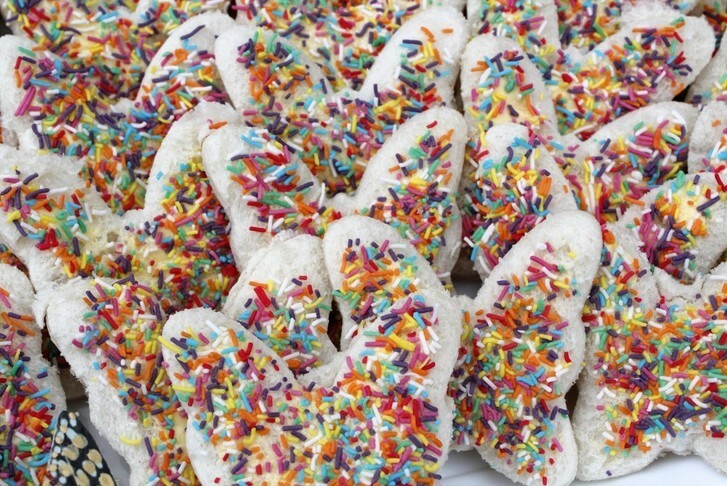 If all of this talk of fairies is giving you a hankering for fairy bread, check out our compilation of fairy bread recipes. Yes – there is more than one way to make fairy bread! Who knew? 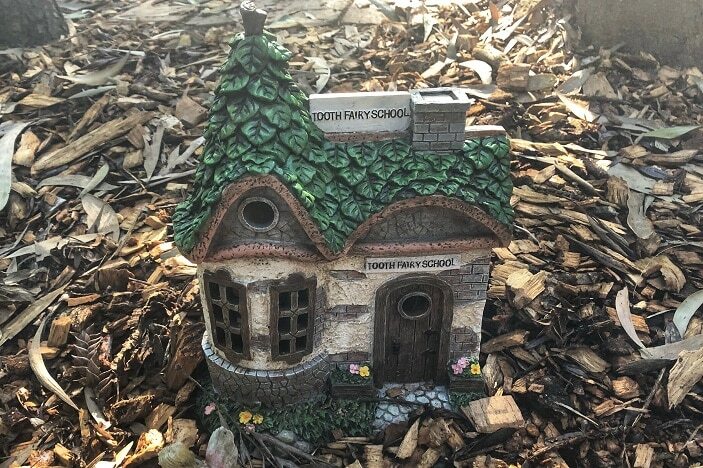 Do you know of any other fairy gardens near Brisbane? Leave us a comment and let us know!